Looking for a JAM Packed Music Class? Jay and Ray play music for everyone!! What if you could bring your child to a music class that rocked??! A class that’s not only fun for your baby or toddler but also enjoyable for you? We started Jay and Ray Jams for Fams, because as dads, we understand the importance of learning through play and the educational power of music in childhood development...but we also wanted to it to be super FUN! These aren’t your typical nursery rhymes! Start rocking in one of our classes today. We teach music classes in Darien, New Canaan and perform all throughout the tri-state area. We also offer private classes all over Fairfield County. Parents Agree: Jay and Ray Rock! "Ray and Jay, you have opened up the world of music to my son in such an appropriate and inspiring way. For all the music I try and play for him from Apple Music or Spotify, his favorite jams are those with which he has grown up from your class. We drive by the CVS parking lot and he goes "Shaky Shaky" from the back seat!.." "As a mom I look forward to it as well because it is an overwhelming feeling of camaraderie amongst the moms (who doesn't love to see their child's face filled with joy?!) and admiration for the two of you. He and I mutually look forward to it every week - we always try and have a musical day thanks to you." As parents we understand the importance of fun and play in childhood. And keeping your kids entertained! Our classes are JAM packed (pun intended!) to educate and entertain. Our inspiration to begin teaching music classes and performing at family events came from teaching and playing music with our own children. With backgrounds as trained musicians and in music education, you can trust you are jamming with professionals! What makes our program truly unique is our original education based content performed by us! This isn't a franchise. This is a business owned and performed by two local and professionally trained dads. Sign up for a weekly music class! We currently have classes for babies, toddlers, and preschoolers in New Canaan, Greenwich, Stamford, and Darien, CT. Ask us about drop-ins and trial classes. Need entertainment that rocks? We can perform at events large and small, from family parties to big festivals. Our concerts are super FUN, high energy and bring joy to everyone. We book events events across Fairfield County and all over the tri-state area. We’d love to be a part of your school’s programing. 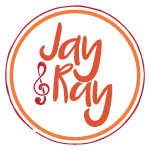 Enhance your students’ learning with Jay and Ray as your music teachers. Let us bring our classes to your preschool or elementary on a weekly basis or for a special performance!